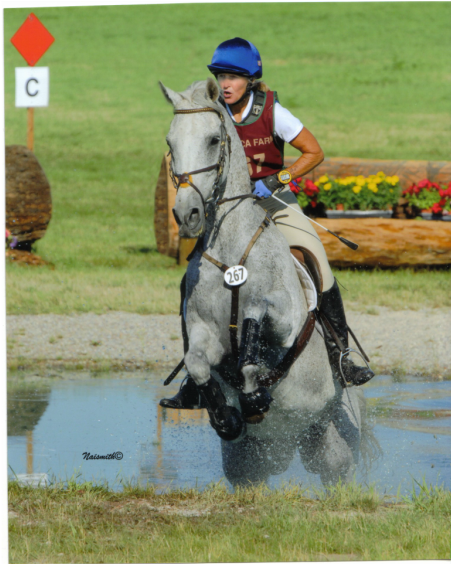 Marie Schofield has been an United States Eventing Association ICP Level (Certified) instructor since 2005, TTT Western Dressage Graduate (USEF Recognized) and has taught riders of all ages for over 25 yrs. She is an active competitor in eventing & dressage, past organizer of recognized events & Derbys, trainer & continuing student. Her emphasis is on correct position in both dressage & jumping to create a balanced & happy horse/rider relationship. She guides riders who wish to compete their horses or recreational riders who want to improve their riding skills & their horses performance. Riders are taught to understand how a horse thinks & why they react the way they do to situations. Marie strives to develop safe, effective, & thinking horsemen. Are you ready to move on to the next "chapter" with your horse? Do you have a training problem you can't get through? Contact Marie and she will help you. Marie riding Axl at Rebecca Farm Kalispell, Mt.